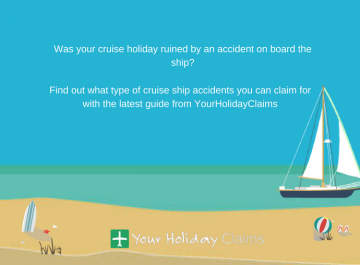 A Middlesex holidaymaker has received £2,046 in damages with the help of Your Holiday Claims after their holiday to the Dreams La Romana, Dominican Republic, was ruined by an outbreak of gastric illness. 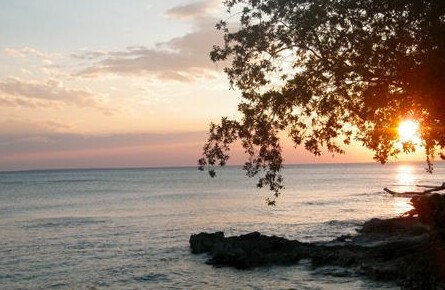 What happened at the Dreams La Romana Resort & Spa? In the winter of 2014, Aaron O Connor left behind a dull and dreary England for a sun-drenched Dominican Republic ahead of his all-inclusive stay at the five star Dreams La Romana Resort & Spa. Aaron arrived at the resort full of optimism and excitement as he touched down in the Caribbean, however these emotions were only short lived as only days after his arrival he was struck with sickness. 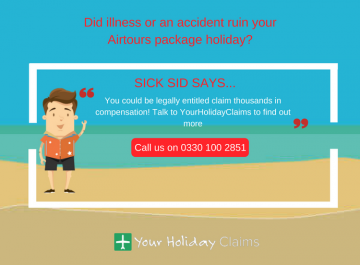 Speaking to the specialists here at Your Holiday Claims, Aaron reveals how he was suffering from agonising stomach cramps, vomiting and diarrhoea. He explained: âThe stomach cramps were so intense that I couldnt stand up. âI was effectively bed bound as I couldnt risk being away from the room for more than 5 minutesâ. The symptoms that Aaron was suffering from then started to become so distressing that he was forced to receive medical treatment from the on site doctor. Although Aaron was now receiving medical attention and thought hed be on the mend, unfortunately this was not to be the case as the worn down holidaymaker continued to suffer from repeat symptoms for the remainder of his holiday. This gave Aaron no chance of enjoying his break, and ultimately completely ruined his holiday. Resigned to defeat, Aaron described the lengths he went to just to have some positive memories of his stay in the Dominican. He stated: âI missed out on so much; in the end I paid the resort photographer to take pictures so that I would have some memories of the holiday as I was in the room so muchâ. Aaron is convinced that poor hygiene standards at the hotel were totally to blame for the gastric illness he suffered, and therefore to blame for his spoiled holiday. Going into further detail about his concerns, while speaking to the legal team here at Your Holiday Claims Aaron talked about how he vividly recalls being served uncovered, cold or lukewarm food while staying at the Dreams La Romana. Furthermore Aaron also claims that the food served at the Dominican resort is regularly reheated and reused for guests to consume. In addition to this Aaron claims that âthe room was never cleaned properlyâ and was generally in poor condition. 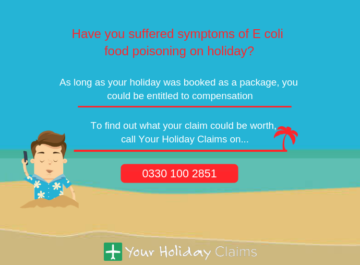 On top of this, in an alarming claim Aaron also believes that these poor conditions didnt only cause himself to be ill, as he discloses that several of his fellow holidaymakers were also suffering from similar gastric illness symptoms during his stay. On his return to British soil, Aaron decided that to seek specialist legal advice was the best route for him to go down. It was at this point when he contacted us at Your Holiday Claims and travel law specialist Anne Thomson was placed in charge of the case. 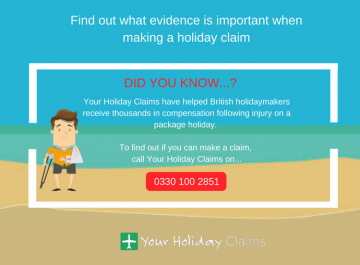 With Anne in his corner, Aaron secured a £2,046 pay-out in damages in a successful no win no fee claim with Your Holiday Claims. Commenting on the outcome of this case, Anne said: âI am overjoyed that I was able to help Mr OConnor receive justice, and recover some well-deserved compensation. âAaron endured a truly torrid ordeal during his time at Dreams La Romana, and I cant reiterate enough how pleased I am that we were able to assist him during his claimâ. Anne continued, and stressed how holidaymakers must be cautious when venturing out to locations such as the Dominican Republic. âUnfortunately, we regularly hear from British holidaymakers who have been struck by illness in hotels throughout the Dominican Republic. âIt is important that if you fall ill while on holiday that you contact your tour operator as soon as possible, to make sure that they have a record of the illness. Additionally if your illness progresses to a more serious stage and you suffer from symptoms like dehydration, I would strongly urge you to seek local medical attentionâ. 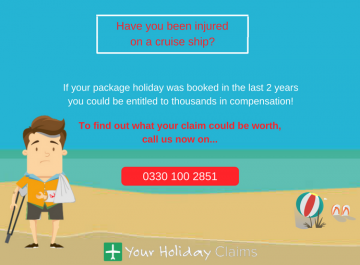 If you or a loved one have been forced to endure a similar situation to Aarons and have had your holiday spoiled by sickness, Your Holiday Claims could help you receive thousands of pounds! 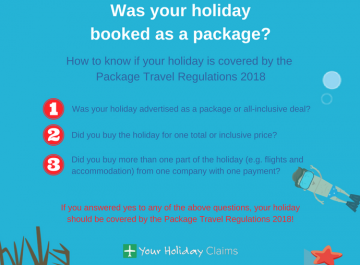 Our dedicated legal team have amassed over 50 years of experience in travel law, and boast an impressive 99% when it comes to claim success rate, so choosing Your Holiday Claims wont be a regrettable decision. 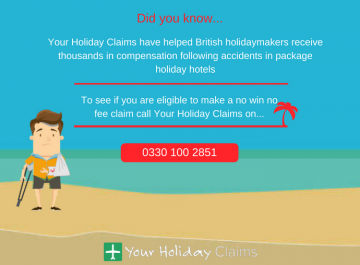 On top of this, all claims we pursue are done on a no win no fee basis, which ensures that you wont lose a single penny by claiming with us, whatever the result. 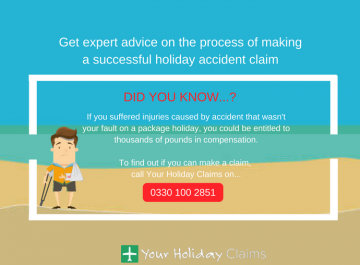 You can start your claim by talking to one of our legal experts onÂ 0330 100 2851. 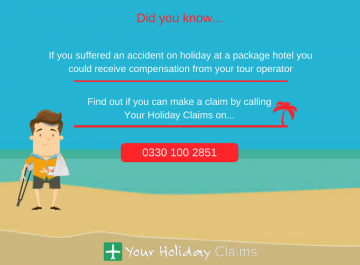 Or, if you’re unable to speak to us right now, you can make your holiday claim online.